Time And A Word, the album, had it all. So here we are in the ungodly year of 2010 and drumming master / jazz-rock icon Bill Bruford was kind enough to write a few of his thoughts about an album that hardly anyone, at least in the American media, gave a second thought to back when it first came out in 1970. In fact, back in mid 1970, Yes was the last thing on anybodys mind. By January 1970, no one, including this writer could accept that The Beatles had really truly broken up and, in that second Nixon-ian era it felt like probate to even think about them anymore. By contrast in 1970, The Shadows, Englands first rock and roll band from the late '50s, was a band that I hadnt even heard yet, and wouldnt till the spring of 1981, just six months after John Lennons assassination in 1980. Lucky enough for me though, ten years before, in the spring of 1971 we all went to see Jethro Tull downtown at the Fillmore East. Back following the end of the Beatlesand after The Moody Blues changed music foreverit was Tull that best encapsulated that remarkably creative rock spirit of the post-Beatles progressive era back thenat least until I heard YES. Or I should say listened to YES becauseeven though I distinctly recall my high school buddy Jerry Wortman playing me the first track off of Time And A Word sometime in late 1970at that time I wasnt even aware of YES. Back in early 71, the hi-tech, jazzy high harmony vocal rock sound of YES sounded off-kilter compared to, say the focused hard gothic rock of Aqualung even by early 1971. So after Jerry played me YES and their lead off Richie Havens cover on Time And A Word, I went on my merry way...until one fateful and quite cold night late in November 1971. Several weeks before, the NY times, as they did every week in the Sunday arts section in that 68-71 era, advertised tantalizing concerts that usually paired two or three like minded bands at the fabled Academy Of Music on east 14th St. in Manhattan. So without trepidation I scored my tix for that late November 71 show that featured my then favorite 60s band Procol Harum at the top of the bill, relative newcomers and currently then reshuffled King Crimson as the middle band and then there was YES, who my gang had never seen before, as the opening act that night. We all ingested LSD tabs at that crazy pizza place around the corner of 14th and 3nd Avenue and a half hour later the lights went down for the late show that started that night at 11:30 pm! Put simply, that night, right then and there YES proceeded to instantly blow my mind for the first time. It was, to my ears, like a new jazz meets rock sound was being created right there and then, in America. The reactionfor many of us witnessing Yes for the first time, that nightin my mind, created a near tribal hysteria in the audience. The place went completely mad! My friends and I were climbing on chairs from the back of the orchestra just to see what was going on! At the core of the band, I just couldnt take my eyes off of Bill Bruford, who played and looked like he was driving a train! The madness of that November 71 Academy show with YES remains, to my memory at least, in stark contrast to their quickly thereafter headlining tour, again at the Academy of Music in early February 1972, which occured even before Fragile had come out in the states, when I swear, from my tenth row center seat, you could hear a Pinder drop! And, yes the acid was equally potent but a lot had changed just two and half months later! 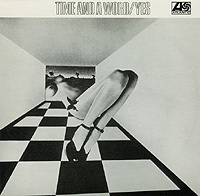 Although Peter Banks had played superb and quite inventive electric guitar on Time And A Word, he was extricated from the YES lineupBanks was also replaced on the album art for the U.S. release of Time And A Wordand Steve Howe was now the guitarist in YES on the The Yes Album, released Stateside several months before the November '71 show. And although I had picked up The Yes Album before that 71 show, I didnt really listen to YES till I came home after the show, that same night as I recall, when I came home and put on my legendary white Koss electrostatic headphones! What a magical night of music it was at that late show that found us stumbling for the train back home to Long Island in the early morning Manhattan light. Of course, now it seems like a lifetime ago but of course, I thought to remind Bill Bruford about the 40th anniversary of Time And A Word and he was kind enough to write something about it. For this 17 year old at that AOM show in that short eclipsed moment in late 71, YES uniquely broke down the borders between rock, classical and jazz music and in my estimation and understanding of what was happening, a musical dynasty was unearthed. Even though all the members of YES who played on Time And A Word are alive and well I hope, there sadly is going to be no Time & A Word reunion in 2010. Its true weve grown so old but yet, now 40 years after good old Jerry played me that opening Time And A Word cut, there still remains that brilliant moment in music history when YES built on the legacy of the Beatles and Moody Blues and crafted something truly amazing, something we can still appreciate, even a century later. Thanks to Bill Bruford for writing the following comments about Time And A Word, the album, for mwe3.com in February 2010. One could write volumes on Bill Brufords drumming on the first six YES albums, including that amazing Yessongs with nearly a half hour of the original YES rhythm section, before Bill graciously handed the sticks over to Alan YES is the answer White who, as Bill always humorously points out (LOL! ), is the real drummer of YES. Long may they all thrive! ABOUT TIME AND A WORD! I'm told it's been 40 years since Time And A Word was released by Yes, and Robert has asked for some reflections. I'm never much good at this, not because I'm not interested - I am - but because so much has happened since then that my recollections would be either insincere or fabricated or insincerely fabricated. It was an excitable time, and I was an excitable drummer in an exciting and excitable group. I remember discussions about strings being a 'must' because other bands - maybe Deep Purple or perhaps the Nice - had worked with Orchestras. In keeping with the general arms race feeling between the major British groups, we couldn't be seen to be falling behind. I believe the strings were tracked later, but the performances came as something of a disappointment to us. They seemed so far behind the beat, it made the spritely backing tracks seem, to this drummer's ears, like they were dragging a sack of coals up hill. And that was what it felt like for our one and only concert with orchestra at the Royal Festival Hall in London. It was before my time as a song-writer. I had no confidence in that area. I preferred to be a mechanic in the rhythmic engine-room of Yes, and didn't wonder about the songs, or their creation, or why one or another became the title track. That seemed to be Jon and Chris' area. But I loved Kaye's gritty opening Hammond chords, and the songs are great. I'm not sure I'd play the whole verse of a song (Then) on snare drum alone...! Plenty of good ideas, but Time and a Word was for me an interim album between our first, and the third - the Yes album - that really hit big. The influence is very Beatles, it seems to me, looking back. The Beatles permeated everything - melodies, harmonies, arrangements, McCartney-ish bass parts, dreamy lyrics. But somehow we managed to put our own stamp on it, and produce this much-loved slice of early Yes.